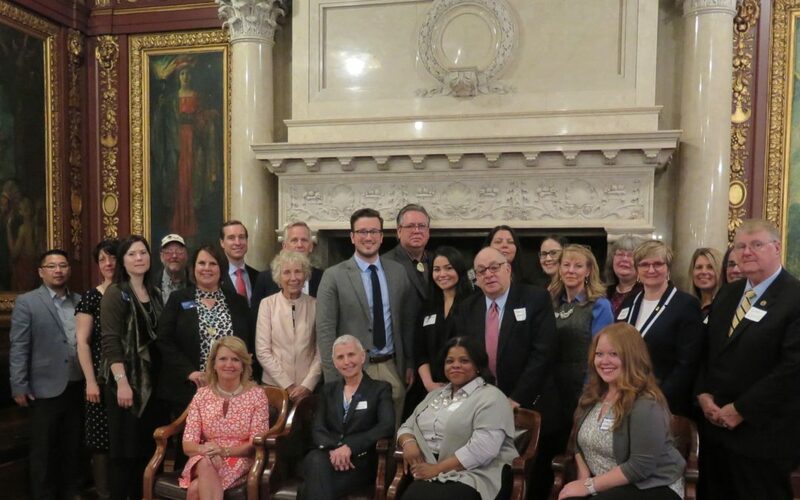 Wisconsin’s Community Development Financial Institutions (CDFIs) will gathered in Madison on Tuesday, April 16 for the third Annual CDFI Day at the Capitol. Certified by the US Department of the Treasury, these 22 organizations are charged with lending in under-served markets, and as such bring value to the areas they serve. Loan products can include business financing, home ownership and home rehabilitation, consumer financing (auto, credit builder) as well as community economic development financing for the development of affordable housing and community facilities. CDFIs often partner with conventional lenders. From 2005 to 2017, these organization have lent over $2 billion, often to low- to moderate income households, people who face barriers to financing and to people of color, as well as to nonprofit organizations and affordable housing developers. 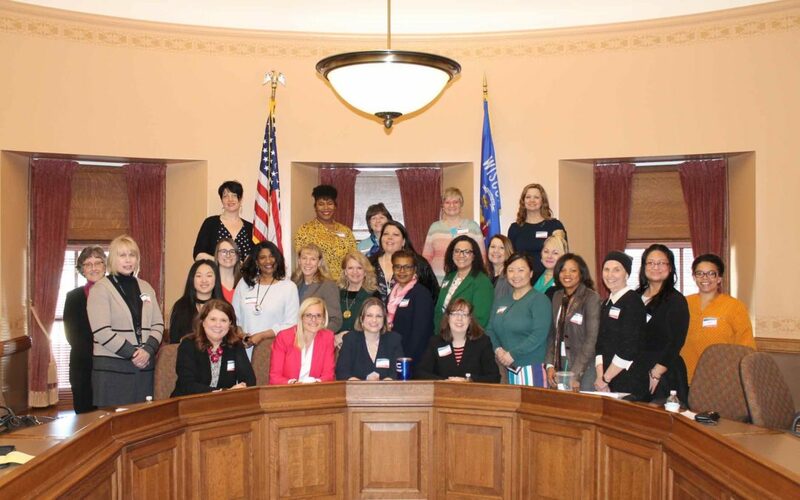 CDFI Day at the Capitol is designed to raise awareness of the value CDFIs bring to Wisconsin for partners, legislators and more. Events for the day included a private briefing with staff from the Governor’s office, followed by a news conference at 1:30 lead by Wendy Baumann and Mary Patoka. At 2 PM, CDFIs met with key legislative staff to understand how they can work with elected officials. At 3 PM, two CDFI loan clients spoke on the impact of CDFI lending, including Ed Lee of the Urban League of Greater Madison and its homeownership program and Stephanie Sarr, co-owner of Savanna Beauty Supply. The day will closed with a reception at the Premier Park Hotel from 4:30-6:00 pm, recognizing supporters of CDFIs in Wisconsin. 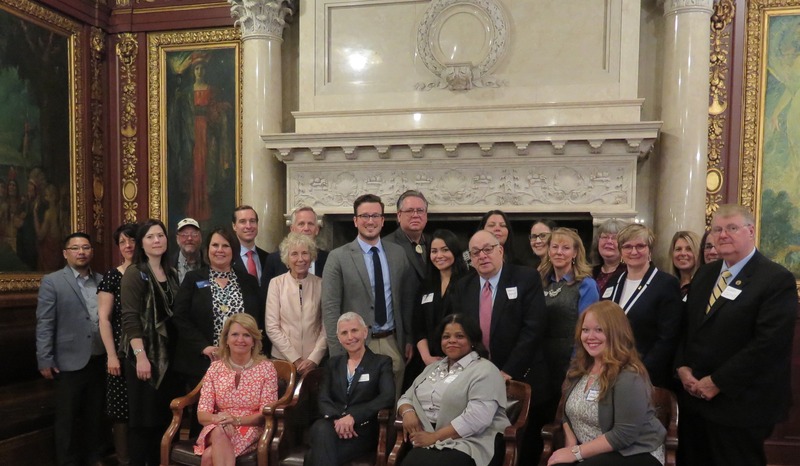 Guests in attendance included Senator Alberta Darling, Rep. Katrina Shankland; Matt Feldman, President of the Federal Home Loan Bank of Chicago; Wyman Winston, former WHEDA ED and Kelly Ryan, Executive Director of Incourage Foundation based in Wisconsin Rapids. 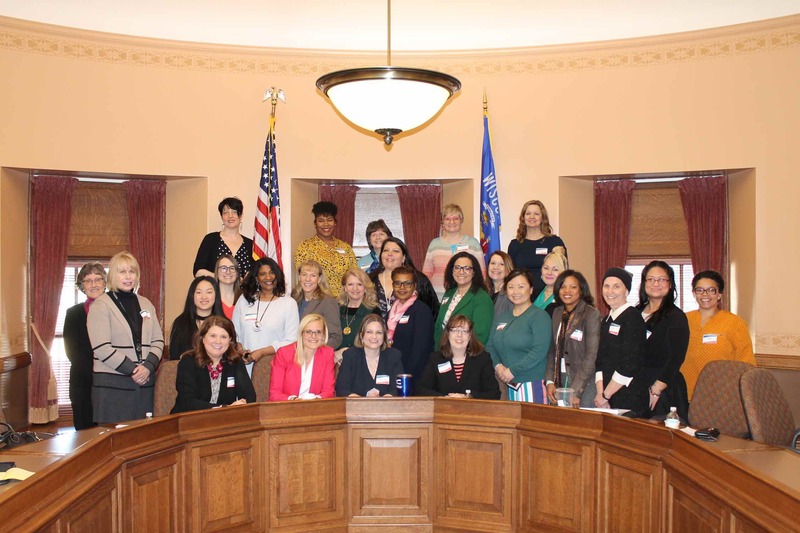 WWBIC (The Wisconsin Women’s Business Initiative Corporation) welcomes a slate of new Board Officers for 2019. Karin Gale (Schenck SC) will now serve as WWBIC’s Chairperson, taking the role from Past Chair Michael McDonagh (Mallery & Zimmerman). Johnny L. Moutry Jr. (New Covenant Housing Corporation, Inc.) will serve as Vice Chair/Secretary. Kathryn Andrea (Andrea & Orendorff) will remain WWBIC’s Treasurer and Chair of WWBIC’s Audit and Finance Committee. Karin Gale was a member of WWBIC’s Finance & Audit Committee before joining the Board. She is a shareholder at Schenck, a Wisconsin accounting and business consulting firm. Her board and committee service includes the Wisconsin Institute of CPAs (Past President), the Independent Business Association of Wisconsin (Past President), the Association for Corporate Growth Wisconsin (Past President), and the City of West Allis Community Development Authority. Johnny Moutry is Executive Director of New Covenant Housing Corporation, a faith‐based community and housing developer for low‐to‐moderate‐income individuals and families, in Milwaukee. A retired executive of Aldrich Chemical, a leading Milwaukee manufacturing now part of Sigma‐Aldrich, Mr. Moutry has received the Urban Economic Development of Milwaukee Leadership Award and the Wilbur Halyard Award for Community Service. Kathy Andrea has been a partner at Andrea & Orendorff LLP in Kenosha, WI, since 1989. She served on WWBIC’s Finance & Audit Committee before joining the Board. Kathy specializes in providing auditing and management advisory services to nonprofit and governmental clients. She serves as Treasurer on the boards of the Kemper Center and the Kenosha Library Foundation. WWBIC’s 2018-2021 strategic plan is underway. 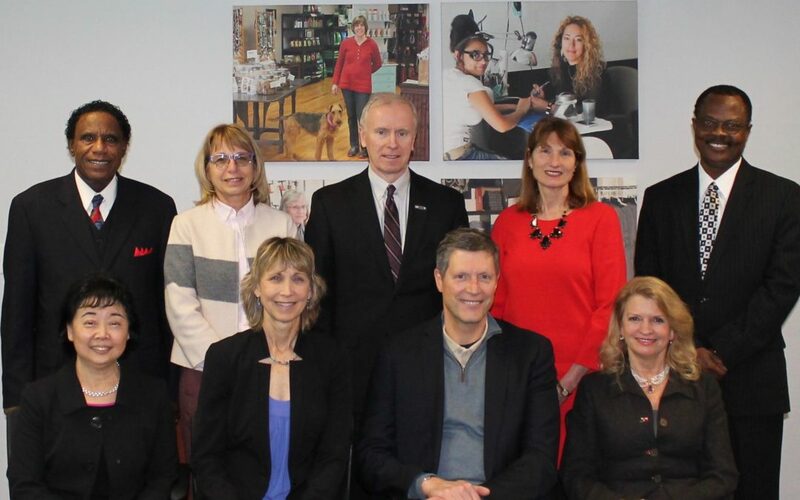 Through aligned growth, exemplary customer service, and measurable impact, WWBIC will advance its social goal of improving the economic well-being of individuals through inclusive entrepreneurship and facilitating self-sufficiency strategies.